​Have you ever heard the term "daylighting?" 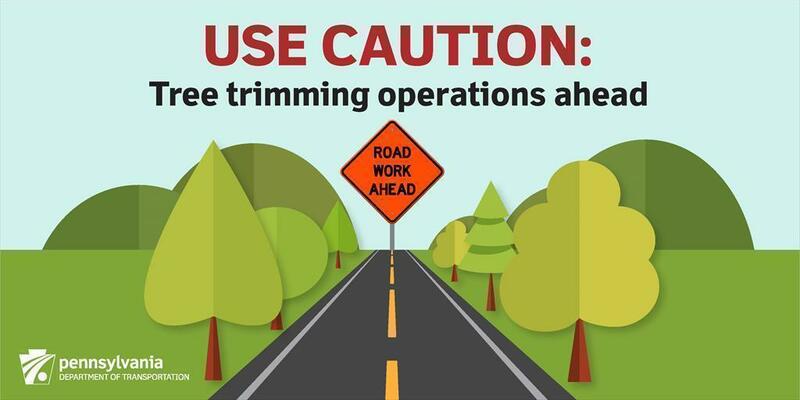 It's not something that usually comes to mind when thinking about roadwork and construction. However, it plays an important role in the work that takes place on rural roads. Daylighting is the process of cutting back trees so the road is exposed to more light. When a road is too shaded by trees, this can be difficult and even unsafe for road workers, drivers, and pedestrians. First, more sun on the road aids in keeping the road dry. When a road is wet from rain or melted snow, the risk of a car sliding off the road and causing a crash is heightened. This poses a danger to drivers, cyclists, joggers, and anyone on or near the road. Daylighting also is useful in the winter when excess light can help melt snow on roads. Finally, daylighting helps keep workers safe by providing better overall lighting. If a road has better lighting, this can help drivers see workers on the road more easily when driving through a work zone. Daylighting is just one aspect of tree trimming and PennDOT's overall vegetation management efforts (PDF), which also include mowing and pesticide spraying. To learn more about all PennDOT's maintenance activities, view our series of Maintenance First cards.